Abstract: Wing flexibility governs the flying performance of flapping-wing flyers. 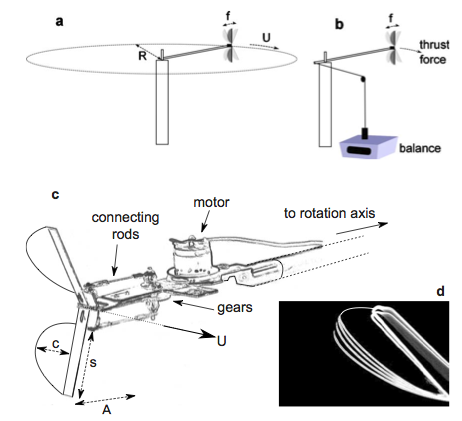 Here, we use a self-propelled flapping-wing model mounted on a ”merry go roun” to investigate the effect of wing compliance on the propulsive efficiency of the system. Our measurements show that the elastic nature of the wings can lead not only to a substantial reduction in the consumed power, but also to an increment of the propulsive force. A scaling analysis using a flexible plate model for the wings points out that, for flapping flyers in air, the time-dependent shape of the elastic bending wing is governed by the wing inertia. 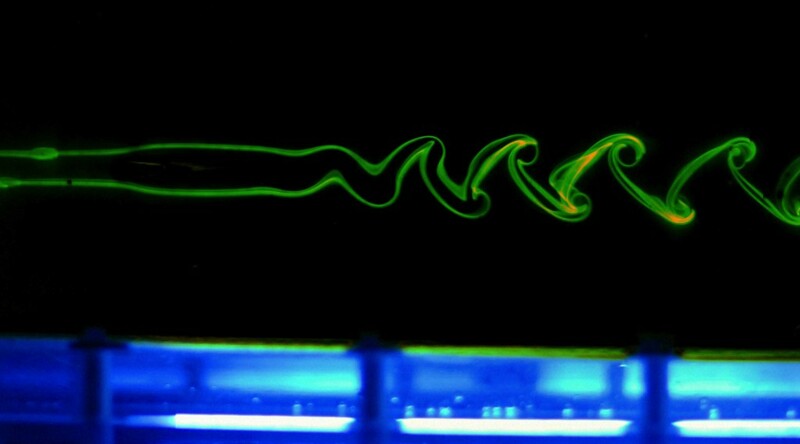 Based on this prediction, we define the ratio of the inertial forces deforming the wing to the elastic restoring force that limits the deformation as the elastoinertial number Nei. Our measurements with the self-propelled model confirm that it is the appropriate structural parameter to describe flapping flyers with flexible wings.